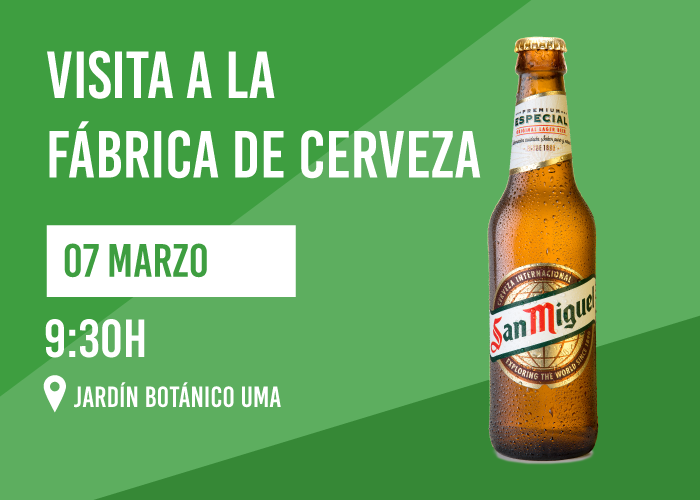 On 7th March 2019, the International Relations Office at the University of Malaga through Welcome to UMA invites you to a free visit to Mahou San Miguel brewery. During the visit, in addition to discovering the process of making beers, we will attend a tasting. Important: The students, who have been selected to participate in the activity, will receive a confirmation email so they will have to reply it to confirm their attendance.